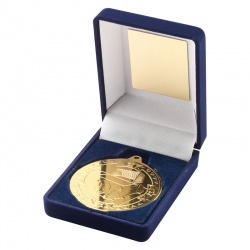 A quality football medal, 50mm in diameter and with a bronze finish. These versatile medals have a detailed football scene on the front. 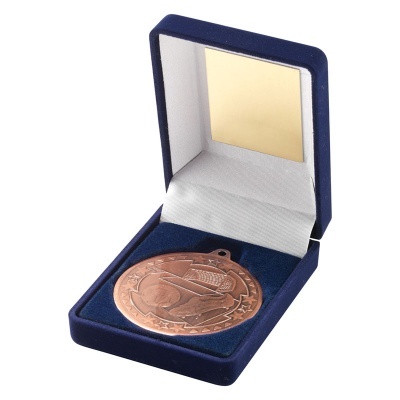 They are supplied in a 3.5in hinged blue medal case. Gold and silver versions available.